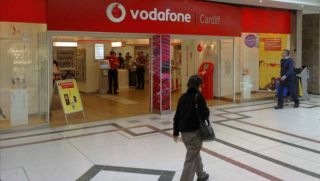 Telecommunication giant Vodafone just penned two partnerships in a bid to expand its enterprise and industrial footprint. The first one, with Chinese network behemoth Huawei, sees Vodafone establishing a new strategic alliance that aims to develop a variety of enterprise communication and technology services for global enterprise customers. The deal excludes the Americas and Oceania and will include the use of Huawei's fixed and mobile connectivity bonding technology for new products. Also part of the Memorandum of Understanding (MoU) is the pledge to investigate opportunities for in-building coverage solutions, the development of new M2M (machine-to-machine) module designs and developing solutions for Safe City, Cloud Data Centers and Internet of Things (IoT). Speaking of IoT, Vodafone is joining forces with big data and expert expert VMC to launch the first industrial IoT platform approved by IIC (Industrial Internet Consortium) in Europe. Known as INFINITE, it encompasses "significant technologies, domains and platforms" to underpin businesses by "introducing major advancements in cloud, networks, mobile" and other features that, together, make IoT globally. Last week, Vodafone announced that it was entering the home broadband market amidst rumours it was going to acquire Virgin Media.